I broke into my volume of John Muir writings. I wanted to get a bit more insight into this idea of Wilderness and why he fought so hard to create the first National Parks in 1902. 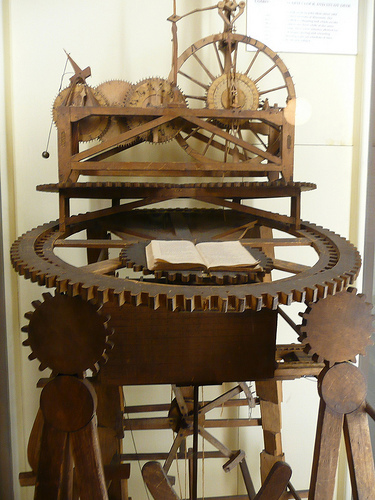 The over-riding thing about John Muir’s writings is that there’s a lot of them! Any notion that I could scan-read them for some choice quotes about wilderness were soon forgotten. So, like every good thing – the best place to start was at the beginning and go from there. The other week I had a great weather window to do some further exploring for a day. It seemed to be very limited – the days before were dull and showery and the day after looked like some heavy snow on the way for the peaks, but for one day the forecast was fine, cloudless even, with barely a breeze. The mountains were calling. 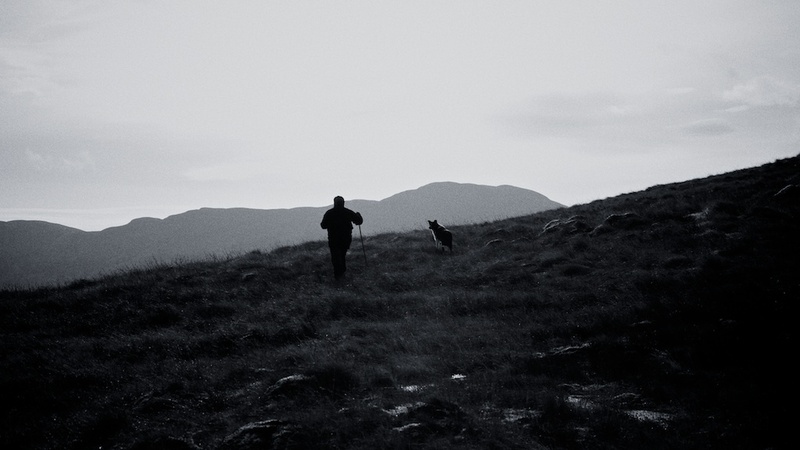 I’d settled on something I could walk to from my cabin, and not too ambitious – these hills are much more serious than the ones back home, so I didn’t want to push my luck and head straight for the nearest Munro. 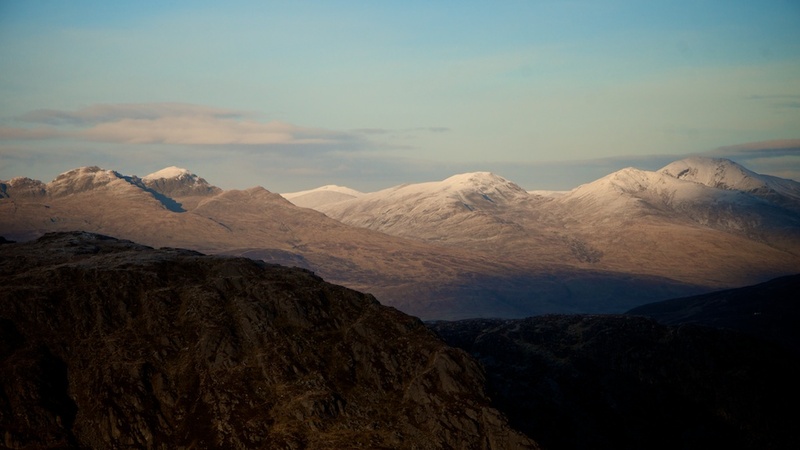 So I settled on Meall an t-Seallaidh (pronounced Melon Telly) – a Corbett of 852m. I’d been interested in how people looked at the landscape here – how people had their own very specific viewing points. I hadn’t anticipated it was such a big thing. It seems that there’s great views to be had almost everywhere you look around here, and wondered if that looking at the view was merely the preserve of the tourist. 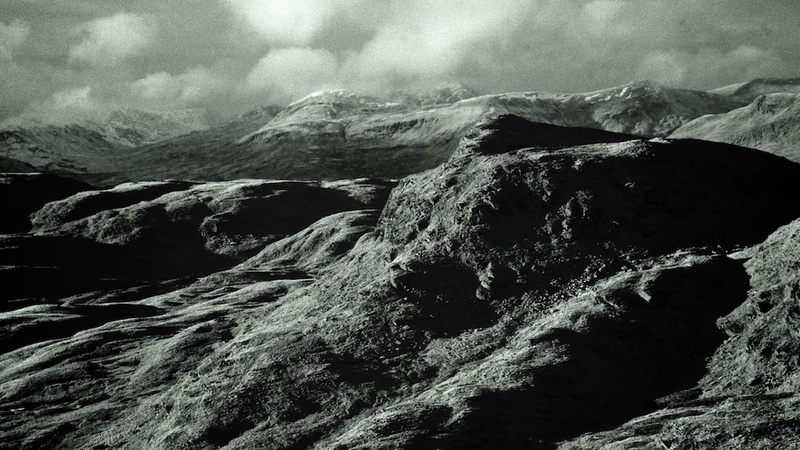 Meall an t-Seallaidh roughly means the lump with the view, so it seemed a good place to look at the looking business. It’s not a particularly well visited peak. 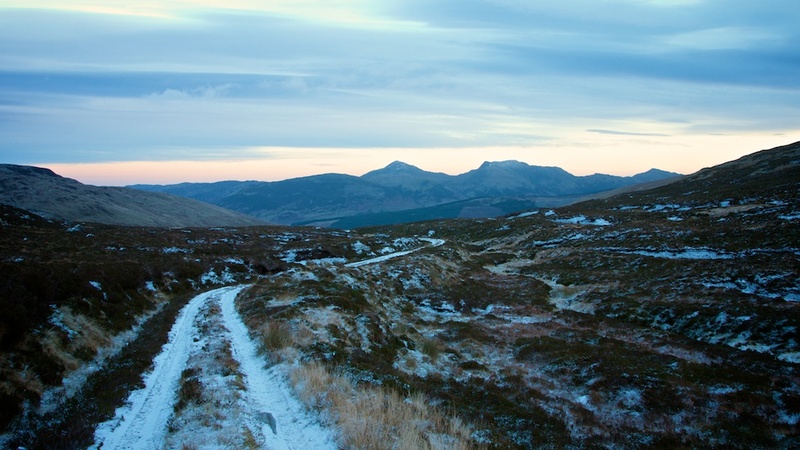 The paths up the nearby Munros of Ben Vorlich and Ben More are well trodden and well marked. 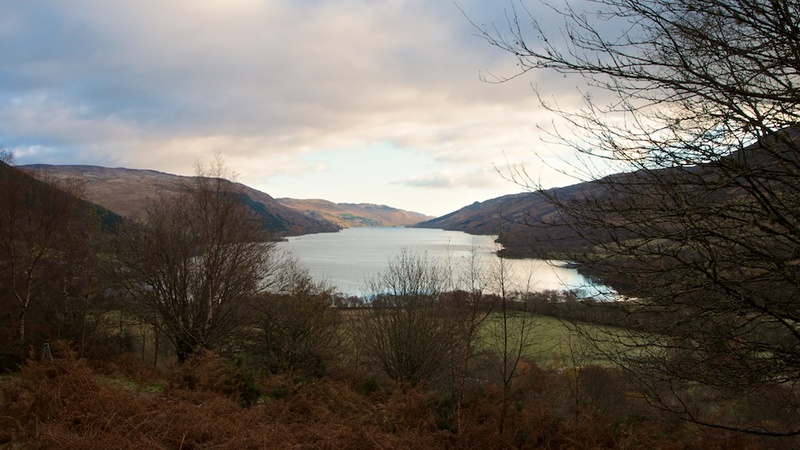 Last weekend I witnessed the popularity of Ben Vorlich – the South Loch Earn road strewn with cars parked along its verges, all full of people trekking up the mountain. I’m guessing that on a cold and not that clear day there must have been over a hundred people on its slopes. 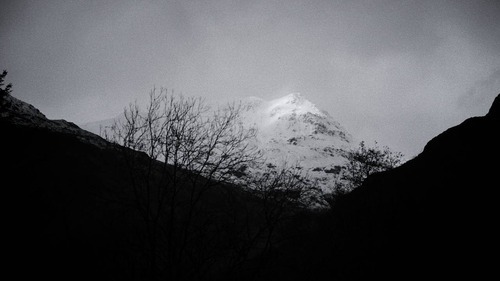 It’s part of the reason I don’t go up the Lake District Fells back home that often. Catbells in the summer is busier than the M6. I get the feeling some of the paths are like that here. After following the upper railway line out from Lochearnhead I took the track up Glen Kendrum. 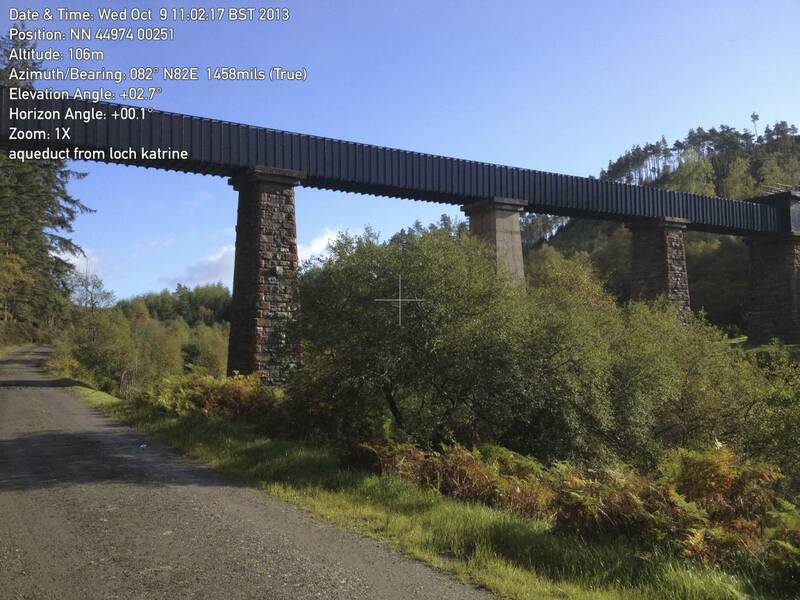 I’d spotted the track on Google Earth – a made-up track gong right over the ‘wild land’ to Glen Dochart. Many of these Glens were used as routes through the mountains avoiding the tolls on the turnpike roads. Drovers stuck to these back routes when the turnpikes started to charge per head of cattle or sheep and in turn became more established rights of way. This track up over the pass is quite a substantial one, although still only really passable with a landrover. Shortly after entering the Glen, my route took me across the Kendrum Burn crossing at a narrow falls, then up the slopes of the southwestern flank. From a distance the ground looked good and grassy – there were plenty of sheep grazing it. However, it soon became apparent that this was classic water catchment land – reedy and occasionally boggy, but always hard going and uneven under foot. It looks easy on a map and I thought I’d be up it in a matter of minutes. An hour later and I was still struggling up – the top constantly revealing itself to be a little further away than it seemed – and grateful I hadn’t gone for anything bigger, when I came across someone sauntering up from another slope almost effortlessly. This was the first person I’d seen out that day. A sheep farmer from Balquhidder Glen he was up bringing in the ewes for dipping and tupping. He had two dogs, but there were another six hands out on the hills with probably another 16 dogs between them to bring down around 600 sheep. All blackface. The Swaledales (my own local breed) would come down for tupping even later. He keeps the Swaledales for ‘raking’ – they heft further out than the blackface and go to the extremes of the territory. Once tupped, all the sheep will go back out on the hills – it’s where the sheep are happiest. By this point I was up on the plateau and found the cairn on the un-named peak at 790m. Technically this was my first Corbett. Big sense of achievement. At this height the view point changes significantly as you see over the lower hills and theres a sense of community with the other real mountains all around. The big ones to the north particularly impressive with their big white cloaks of snow on. Yet, for all this sense of ‘wild-ness’ there are stark reminders that this is still a working landscape. All along the ridge from the 790m cairn stride a line of metal fence posts. 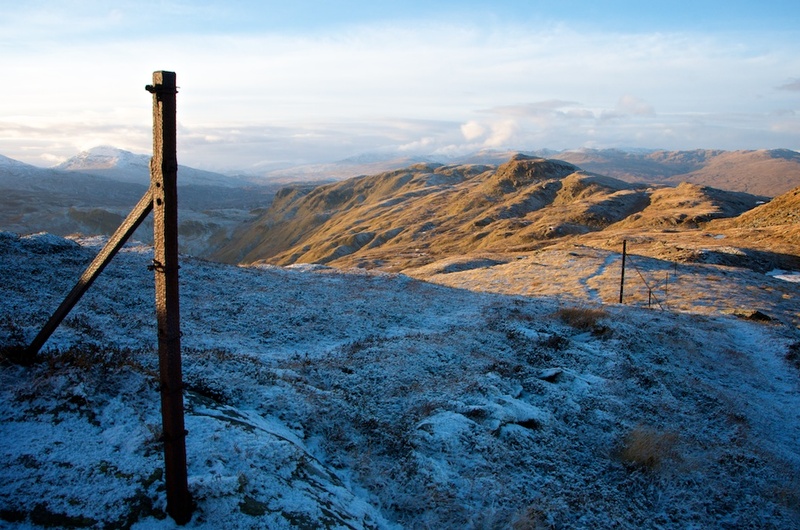 The marking of some once significant boundary between territories – erecting a metal fence up here is no mean feat. The cast iron posts are bolted directly into the exposed bedrock. None of that just knocking in a wooden fence post into the soil here. It’s a very determined delineation that says more about the perceived importance of ownership than anything else. Following the line of the fence posts it was an easier stroll up to the trig point on Meall an t-Seallaidh. By that point the sun had past it’s peak and the temperatures were beginning to drop fast. There was a light dusting of snow on the top revealing the boot print of another recent walker. It might have been another of the farm hands bringing down the sheep but there were no paw prints, so I suspect it was another lone walker. Where they came from and where they went I have no idea. I didn’t see another soul all day. From the top you got an understanding of the importance of the viewpoint. from here there was an obvious line of sight down all the surrounding Lochs and Glens – Right down Loch Lubnaig, Loch Doine and Loch Earn. As a strategic vantage point you would be able to see anyone coming over Glen Buckie, Glen Ogle or Glen Kendrum. Looking over to the north west I got my first look at the ‘wild lands’ of Ben More. That tract of land between Balquhidder and Glen Dochart devoid of houses or roads even. That rare bit of almost pure nature. N.B. – this post was originally published on my Tumblr blog. Last week I was alerted to a bit of work that SNH have out for consultation on areas of land it considers to be of core wildness. It’s interesting to note the difference between ‘wildness’ and ‘wilderness’ with areas considered to be wild in comparison with their surrounding areas. It’s a perceptive quality that relies on there being less-wild places that give you a sense of increasing ‘wildness’ the further away you are from them. National Parks on one level are there to conserve these wild landscapes, not just to protect them from being wiped out and for ecological reasons, but also so that people can experience this perceived wildness. Long before the National Parks were established these areas were attracting tourists as an escape from the industrialised cities. It kind of started with travelers publishing journals of their trips – Boswell and Johnson in the 1770’s, Coleridge, Wordsworth and Ruskin in the early 19th C and Queen Victoria’s visit in the mid 19th C being the main drivers in this park. 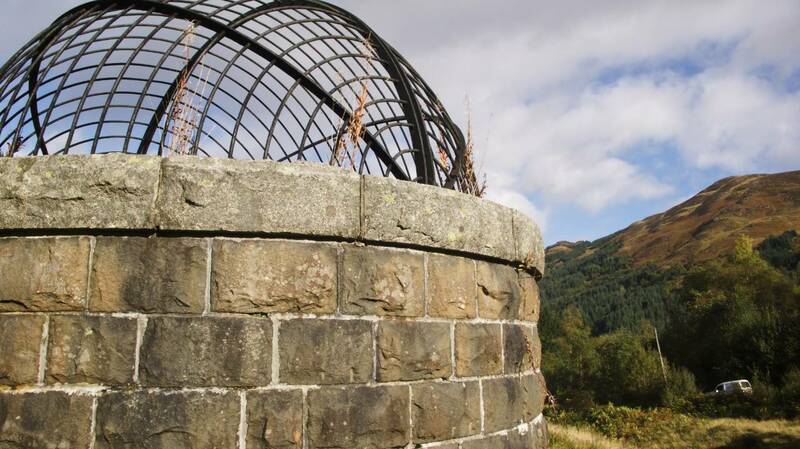 The latter group came to the Trossachs as an extension to their experiences in the English Lake District and the development of tourism there. The 19th Century also, crucially, brought the railways and with it mass tourism from the surrounding cities. In the 1870’s a railway was built from Callander, up through the pass of Leny, Glen Ogle, Glen Dochart, Crianlarich and on up to Oban. At its peak there were several trains a day of up to 20 carriages long making the journey through most spectacular landscapes. When it was built the view above Lochearnhead was thought to be the best view from a carriage window in the UK (this is before they built the West Highland line!). 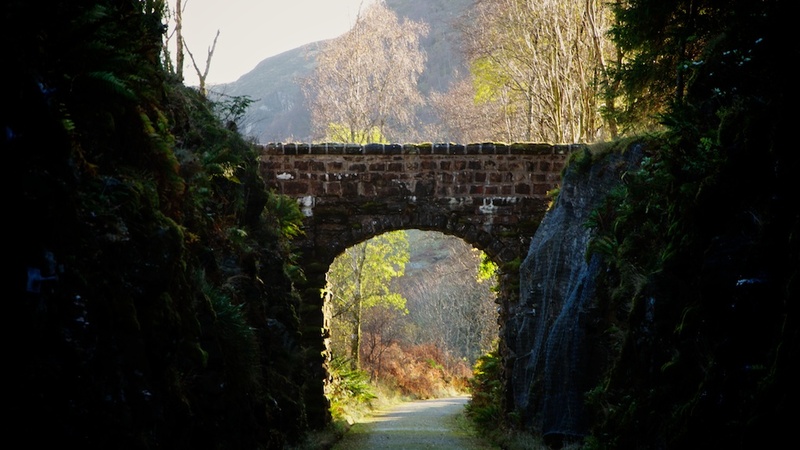 Glen Ogle was a highpoint for the line – both visually and physically – with the railway built up high into the side of the Glen. The station at Glenoglehead was a substantial affair despite there not being any local village to use it, but built especially for visitors to go off walking the ‘wild’ hills. The railway companies published a range of maps and booklets on walks from the station. It would be good to see if I can track down some. 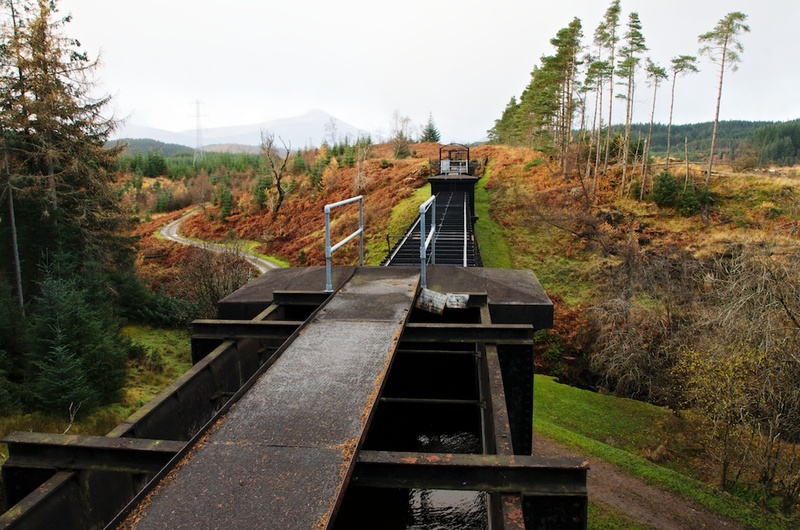 The line as far as Crianlarlich closed in the Beeching cuts in the ’60’s – the line up Glen Ogle closed early due to one of its frequent rockfalls on the line. 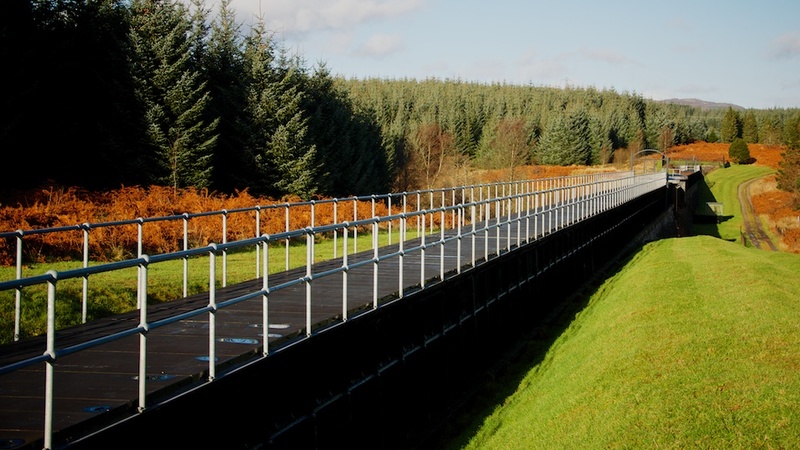 However, more recently the trackbed has been reopened as part of the national cycle network. 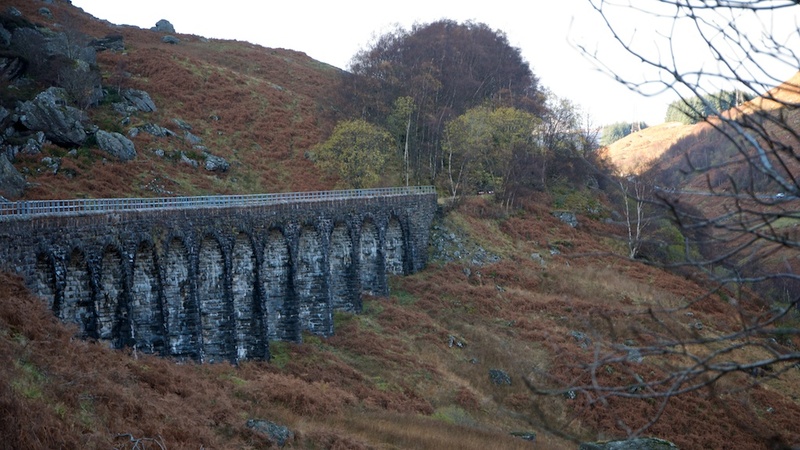 The 12 arched Glen Ogle viaduct is a major point on the route – a vast and ambitious stone structure on a slight sweeping curve clinging to the hillside. 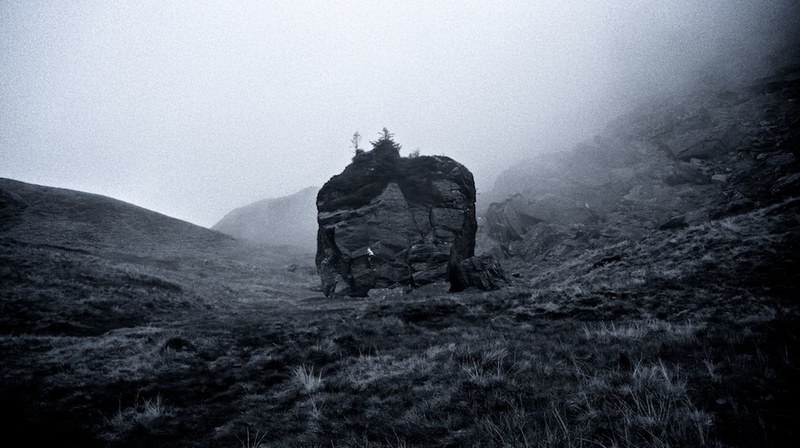 I walked across it last week in a howling gale – the wind whistling through everything. 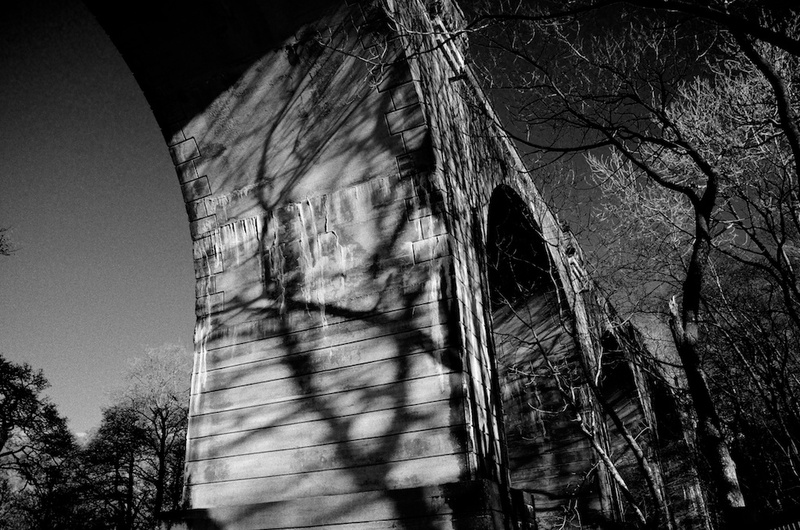 As I walked across the viaduct the wind made the metal handrails sing – each section was a different pitch and created a stereo haunting soundscape of changing tones along the length. Like the ghosts of all those steam engines labouring up the incessant gradient. I wondered if it was possible to recreate that experience for non-windy days or even what that Glen sounded like with the railway – I wonder where I can borrow a whistle from a Stanier ‘Black 5’ engine? From the late 30’s until the close of the line, they were the main engine used to tackle the steep gradients of the line and have a very distinctive whistle tone – known as ‘hooters’. It’s the kind of auditory memory I’m sure many local people will instantly recognise – stirring something from way back in time. I spoke to a guy in Callander last week who told me he remembers seeing the last train up the valley – it was leaving the station and there wasn’t going be another coming back. The brass band came out for the occasion and they set off fog detonators all along the line as it left, the explosions rattling around the hills. There’s also a story that when they took up all the track the rails were shipped off to Mexico City for their Metro for their Olympics. It’s a great story.